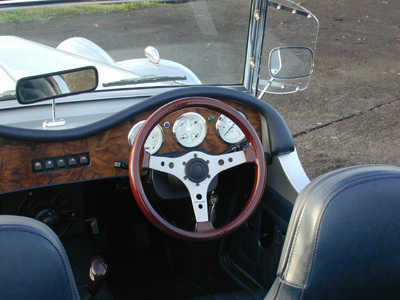 In the kit car industry, as with production cars, there is a full range of quality and features in the cars being offered. Each car has its place within this range, and each one meets the needs of a particular set of consumers. We, here at TG Sports, are aiming our car at the high quality full-featured segment of the market - the segment that places a premium on having a vehicle that will maintain its driveability, appearance and value for many years to come. Although more expensive to purchase, we believe that our car provides better value, and speed of build than any other kit car of its type. 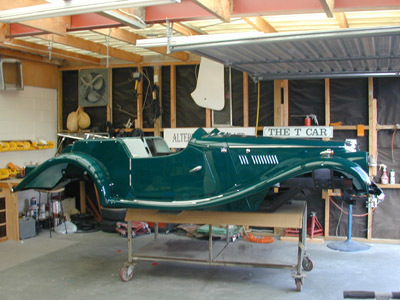 Following is a table explaining the dimensions along which different kit cars vary. CHASSIS. 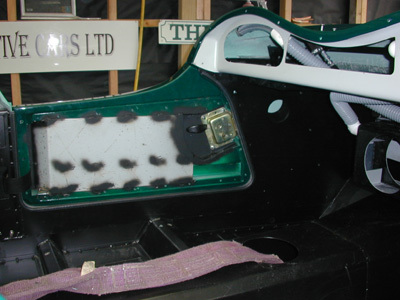 We use our own jig built chassis, which has been designed to withstand frontal impact. It has been designed to meet ridged torsional and beaming standards. NONE of those safety features will be in a VW floor pan OR in 95% of other chassis. SAFETY FEATURES. 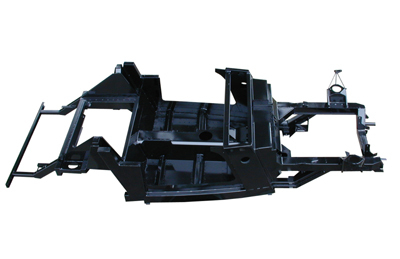 We have burst proof door hinges, burst proof door catches, side intrusion beams in both doors, and Collapsible steering column. 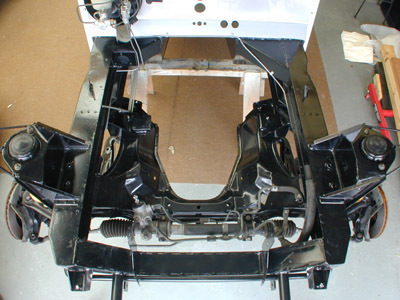 NONE of those safety features will be in a VW (Beetle) floor pan OR in 95% of other chassis. CHROME WORK. 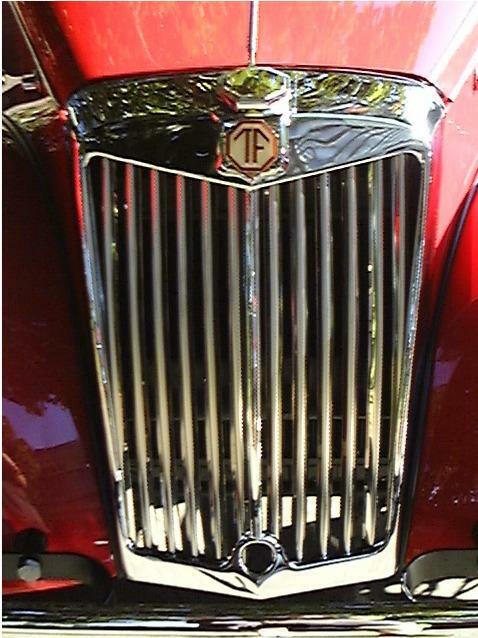 Our grills are 1.5 mm (1/16”) thick brass plate with a good coat of chrome. The grill cap is SOLID cast brass, also chrome plated. We will not use plastic grills, as we do not like the way they discolour and peel. INTERIOR. Our carpet is the same as in other QUALITY cars, Jaguar etc. 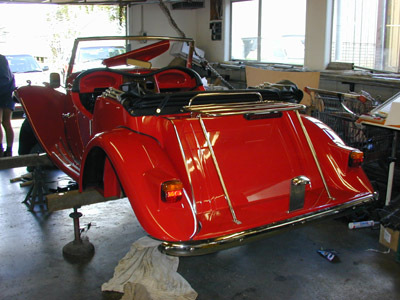 Our soft-top material is Everflex of England, or Stayfast, both of which are used in BMW, Mercedes, etc. 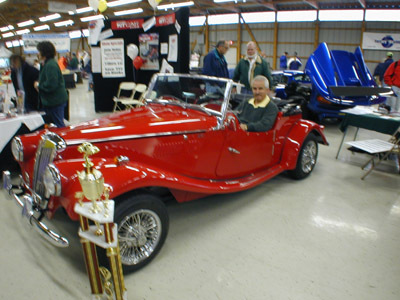 All the fittings used in our soft top are quality stainless steel. No leaks, no cheap material. ELECTRICS. All our lights are to safety standards, whether they are DOT, ADR, Euro, etc. All our looms are brand new. Only quality materials and parts are used to ensure reliability. DONOR CAR When we chose the Mazda Miata MX5, we chose it for its reputation, reliability, network of dealers for parts, popularity, safety equipment, and of course it was a MODERN car, still being built. They have made over 600,000 of them worldwide, and continue to this day. PERFORMANCE Over the years, suspension, steering and engine technology has advanced significantly and is now at a point where a comparison between 1950’s VW and that of today’s Mazda Miata MX5 is hardly do-able. The Miata with its Independent all round suspension, all round disc brakes, and its DOC injected engine, is not only infinitely superior in handling to the old VW technology, it is also rated as one of the best handling cars of today. 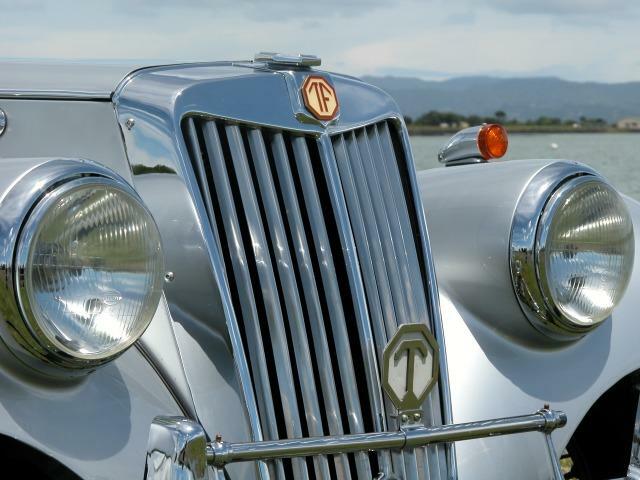 The TG handles and performs as MAZDA designed it, a modern motorcar. PAINT AND FINISH. 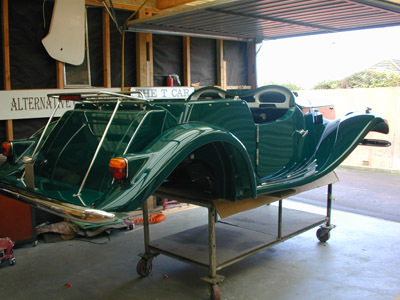 Our cars are to be painted to give that quality high lustre finish, just like your ordinary car. We don’t trust colour gel coats to hold their colours. We also add Core matt to give protection against stone damage. You can probably tell that we are proud of our cars and its quality. We will NOT compromise on quality. We try hard to present the car as quality and this has been reflected in customer remarks, magazine reports, and resale values. As the world has got smaller with the Web we cannot provide pricing on these pages. We can, however reply to your E Mail request for pricing details. See the contact page for relevant area details. Please ensure that you tell us the country that you require the car for, as prices are different due to varied international freight prices. Don't forget to include any accessories that you may want. See the optional extras page for the complete range available. All prices include international freight and insurance (C.I.F) to your nearest port, and in some instances duty and customs clearance. Not included are any State or Federal Taxes nor internal freight. In some countries we have a rebate system where any sales directly from your own car will attract a commission. The expected finished cost of building the TG is a factor of 25% to 30%. That is the quoted price of the basic unpainted SBV plus 25%. This does not include taxes and is for "owner built "